We invite you to join us for a Goma or workshop. Below is our contact information and all the ways in which you can become involved. 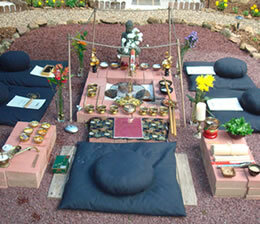 We invite all faiths and backgrounds to share our ceremony with us by attending a Goma in Connecticut. Though the Goma is a Shingon fire ritual, you don't need to be Buddhist or religious at all to attend. We have people of many faiths, Western (Judeo-Christian and Native American) and Eastern who regularly participate. It's a wonderful way to connect spiritually and share meaningful time with a community regardless of your faith or belief system. If there is a wish or desire you have, you may write that on the wood that is offered. In many cases, people have amazing results very quickly with wishes they request through the fire as the Goma is a powerful form of manifestation magic. If you cannot attend but want to request a wish, please contact us and we'll be sure it is included in the Goma. It is also possible to arrange a Goma to be done on your behalf or dedicated to a single purpose or wish that you have. Such purposes may include but are not limited to clearing obstacles, attracting abundance/wealth, healing, attracting love, protection, etc. Please contact us to arrange. We are looking for assistants as the preparation for each Goma is very involved. Assistants help with the preparation, participate in chanting during the Goma, and assist in cleanup as well as helping guests when they arrive. 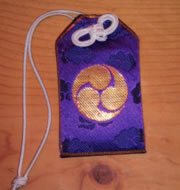 And of course we can always use donations as materials and preparation for the ritual are very expensive! 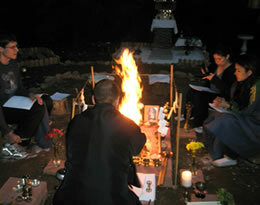 We also offer meditation and recitation instruction as well as several events/ceremonies throughout the year.. Please contact for information. Your generosity makes our events and programs possible.